What Hi-Fi? to add listening notes to all reviews | What Hi-Fi? 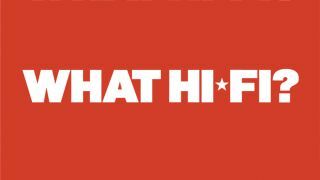 All What Hi-Fi? reviews will come with tailored listening notes from now on, with our recommendations of how best to listen to a product appearing alongside its star rating and verdict. Recommendations will be made on aspects such as food and drink best enjoyed while listening, as well as clothing, lighting and temperature of the room, with each set of listening notes specific to the product. Ketan Bharadia, the magazine’s International Technical Editor, says it is a natural progression for the brand, though the idea actually came about by happenstance. Months of experimentation followed, fine-tuning the new ratings system, and certain patterns have emerged. Food and drink is perhaps unsurprisingly a major factor in how a system sounds; Bharadia, for example, swears by baba ganoush and a carton of Ribena for anything costing upwards of £40k, while the once-sober writer will now refuse to work with budget turntables unless blind drunk. Reviews Editor Tom Parsons is also taking the new system seriously: “I’ve just bought this tool belt, which you can see is full of chocolate bars. I’ve stopped using Kit Kats because they’re too noisy when you break the fingers apart, but I’ve found a Twix to really help with timing, while Double Deckers can do wonders for dynamics. If you would like to donate food, clothing or wildlife to be used in the testing process, please get in touch via What Hi-Fi?’s social media channels.